Is the endless number of books for surgery MCQs making you confused over the choice for the best ones? 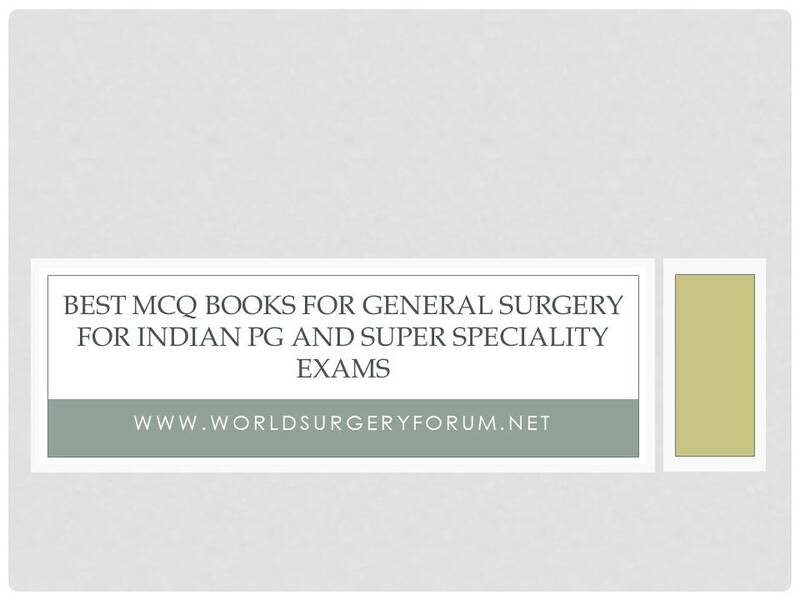 Here is a list of Best MCQ Books for General Surgery for Indian PG and Super Speciality Exams. Gold standard book for all Surgery exams including Final year, NEET-PG and NEET-SS. Most updated literature with amazing section of image based questions. Contains synopsis before questions to build concepts. The annexure is very useful as you can find lot of repeats from it. Must buy book for all Surgery exams including AIIMS, PGI, NEET PG and JIPMER. Another good MCQ book for Surgery MCQs which covers almost all areas comprehensively. PGI Chandigarh questions are given in a separate section in each chapter. It is good for mugging up one liners. It is is easy to read and revise as the answer to each question is given on the same page. Also covers image based questions. The author provides online support with a very active facebook group. Only exclusive surgery MCQ book available book for NEET/ DNB SS (Super Speciality) exams. Worth a try if you want to skip basic questions asked in PG entrance. Explanations have been referred from the Bailey 27th edition and Sabiston 20th edition. It covers 40% questions from General Surgery for remaining 60% you will have to get specialty wise MCQ guides.